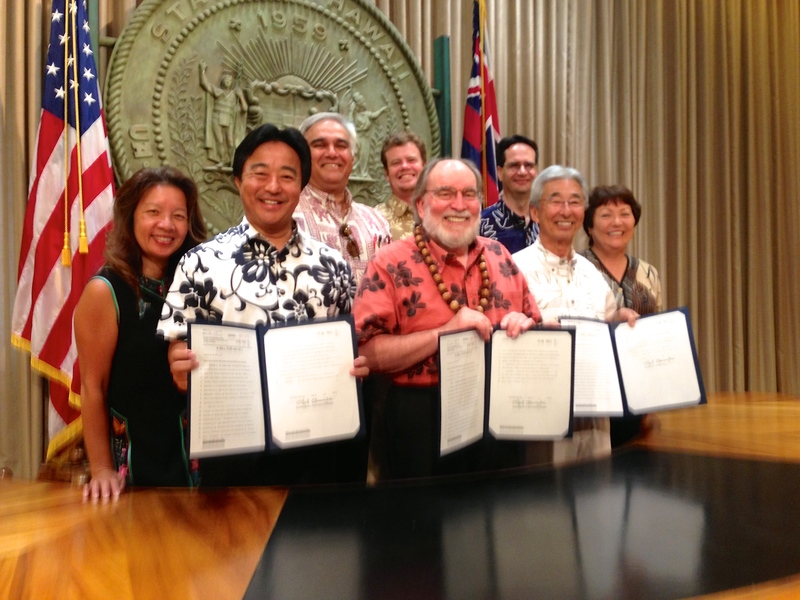 On July 3, 2013, Governor Neil Abercrombie signed into law a measure to enhance government transparency and accountability in Hawaii through increasing public awareness and access to open data. House Bill (HB) 632, relating to open data, now becomes Act 263. It requires the State’s Executive Branch departments to make electronic data sets available to the public. Open data has been a top initiative of the State’s Chief Information Officer (CIO) Sonny Bhagowalia. In August of 2012 the State launched its open data site, data.hawaii.gov, with data sets being voluntarily provided by departments and agencies. The site incorporates data that is readily available in digital format and commonly requested by the public. The intent of this measure is to continue and ensure the open data efforts of the CIO in the multi-year, multi-phased program open data initiative. The CIO, in consultation with the Office of Information Practices, will develop policies and procedures to implement the open data program initiative. Sunlight Foundation – Aloha Hawaii Open Data Legislation!